The floral industry is in flux. With their ability to buy in bulk and undercut their competitors, supermarket chains have been and will continue to be a severe threat to traditional florists. The Internet continues to grab a bigger and bigger chunk of sales, forcing existing businesses to shift operations online and causing underperforming florists to close their doors. In general, the aforementioned factors are affecting the industry across the developed world. Though this information may sound glum, the upside is that those who know how to work the Internet can do well in the coming years and with an aging workforce some countries like the UK are facing shortages of experienced labour. For specific flower industry statistics and job outlook data read on as The Florist Guide presents data here for the UK, United States, Australia and Canada. The approximately 8,400 floristry businesses in the UK employ approximately 17,000 people. Of those, 94 percent employ less than 10 staff, with a large number of businesses being run by sole proprietors. The workforce is dominated by females (91 percent) and is aging with 23 percent being under 25, 16 percent 55 or older and the rest in between. The floristry industry is worth approximately 1.5 billion. According to IBISWorld, industry revenue in the wholesaling sector has contracted by a rate of 6 percent per year between 2008-09 and 2011-12. It’s estimated that one in eight floristry businesses have closed in the past year. This sign along with the increasing shift towards online retailing, supermarket sales and a decline in household discretionary spending due to a struggling economy, points to a negative job outlook for florists, but on the other hand, a good sign is that the labour market demographics are in favour of new entrants. “The replacement demands of the industry are not currently being met, as fewer younger people are entering the industry than older people leaving it,” reports the National Career Service. Many people employed in floristry are nearing, or have reached, retirement age, so there’s a strong need for experienced replacements. With revenue of $8 billion, the flower industry has seen a slight decrease in annual growth of 0.4 percent over the period 2008 to 2013. Approximately 95,000 people are employed in 37,000 businesses. According to an estimate by IBISWorld, 60 percent of those businesses are operated by a single owner with no employees. Of those that have employees, 27.7 percent have less than five and 0.9 percent have 20 or more. The industry has been concentrating as the number of businesses have declined an average of 2.4 percent in previous years, but at present no company holds a dominant market share. The U.S. Bureau of Economic Analysis reports that floriculture item sales at all retail outlets has bounced back in recent years. It hit a peak of 34.6 billion in 2007 before dropping to $29.6 billion in 2009 during the economic slowdown and is now back to 34.3 billion in 2012. 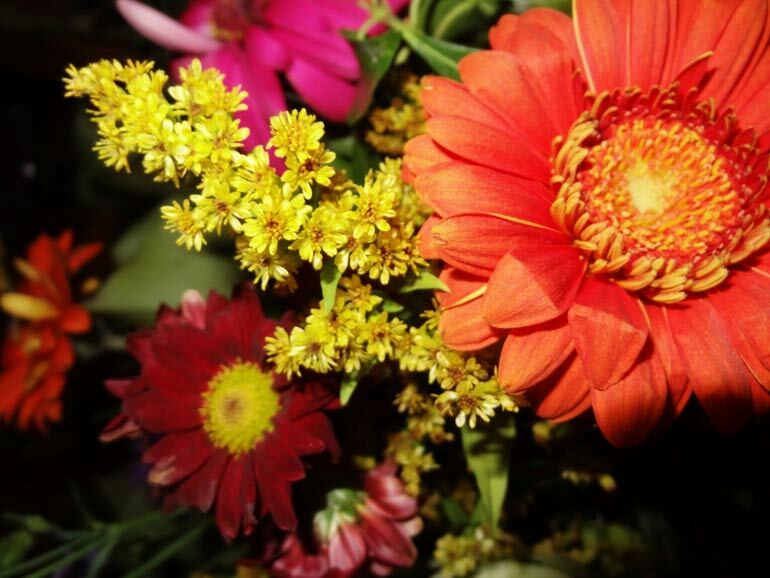 In the U.S., approximately 64 percent of the fresh flowers sold (by dollar volume) are imported with Colombia being by far the top import country, making up 78 percent of imports. Of the domestic flowers, 76 percent are grown in California. Florist job outlook in the U.S. The number of floristry jobs as of 2010 was 66,500. According to the Bureau of Labor Statistics, the job outlook for floral designers is expected to decline by 9 percent annually from 2010 to 2020. This decline is attributed specifically to a decreased demand for elaborate floral decorations with the shift towards buying loose cut fresh flowers from grocery and general merchandise stores. The overall distribution of jobs is expected to decline by 29 percent in florist shops and increase 8 percent in grocery stores, which represents an employment decline of 6,200 jobs. There are 8,100 florists employed in Australia. Most florists in Australia are part-time with only 34.7 percent working full time. Statistics show that working hours for full timers is high compared to other occupations (45.6 hours per week compared to 41.3) and unemployment is high. Females comprise 97.1 percent of the floral industry and the median age for florists in Australia is 44 years old. According to the Australian Government’s Job Outlook initiative, employment in 2016-17 for florists is expected to remain relatively steady with long-term growth (10 years) of 21.3 percent. Recent medium-term growth (5 years) has been 58 percent, which is significantly higher than the industry average of 10.2 percent. Florists generated $750 million in revenue in 2010 with revenue decreasing at a rate of 1.1 percent annually, according to Statistics Canada. Average total annual revenues for floral businesses was $259,100 in 2010 with 65.8 percent of businesses being profitable. “For the Florists industry, 38.0 percent of establishments are non-employers or indeterminate and 62.0 percent have one or more employees,” according to Industry Canada. Nearly two-thirds of all establishments have between one and four employees, with the rest between 5 and 99. With transaction values on the decline due to poor consumer confidence, continued price pressure from supermarkets and the growth of online retail sales, the job outlook for florists is expected to be on the decline in the coming years.